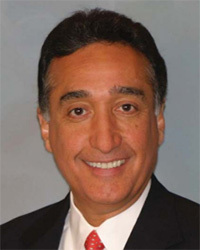 Henry Cisneros is the Executive Chairman of CityView companies. CityView works with urban homebuilders to create excellent housing options priced within the range of average families. This outstanding organization is a partner in building more than 60 communities in 13 states, incorporating more than 7,000 homes with a home value of over $2 billion. Mr. Cisneros’ community-building career began at the local level. In 1981, Mr. Cisneros became the first Hispanic-American mayor of a major U.S. city, San Antonio, Texas. During his four terms as Mayor, he helped rebuild the city’s economic base and spurred the creation of jobs through massive infrastructure and downtown improvements. In 1986, Cisneros was selected as the “Outstanding Mayor” in the nation by City and State Magazine. Mr. Cisneros remains active in San Antonio’s leadership where he is Chairman of the San Antonio Economic Development Foundation. In 1992, President Clinton appointed Mr. Cisneros to be Secretary of the U.S. Department of Housing and Urban Development (HUD). During his time in President Clinton’s Cabinet, Secretary Cisneros initiated the revitalization of many public housing developments. Cisneros also formulated policies which contributed to achieving the nation’s highest ever homeownership rate. In his role as the President’s chief representative to the nation’s cities, Mr. Cisneros personally worked in more than 200 U.S. cities throughout all 50 states. Mr. Cisneros has been inducted into the National Association of Homebuilders (NAHB) “Builders Hall of Fame” and honored by the National Housing Conference as the “Housing Person of the Year.” Mr. Cisneros’ deep philanthropic passion is evident in his involvement as an officer for Habitat for Humanity International. He is also a current member of both the Bill and Melinda Gates Foundation and the Broad Foundation advisory boards. Mr. Cisneros is a prime example of a lifelong learner, evident by his Doctorate in Public Administration from George Washington University. Mr. Cisneros has also been awarded more than 20 honorary doctorates from leading universities. Mr. Cisneros is married to Mary Alice P. Cisneros. 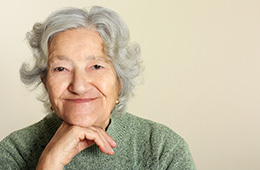 Together, Alice and Henry have three children– Teresa, Mercedes, and John Paul – and four grandchildren. RHF is pleased to present the 2013 Friend of the Elderly Award to Henry Cisneros, former Secretary of the Department of Housing and Urban Development.